This handy 6 LED headlamp system is perfect for being handy around the house or walking at night! It features an LED multi-reflector system, which emits a diffused beam of light perfect for detailed work, and offers a battery life of up to 120 hours and an output of 56 lumens. Utilizes AAA batteries. Awesome item! Adjusts to fit easily and the light is way brighter than i thought it would be. Great buy! 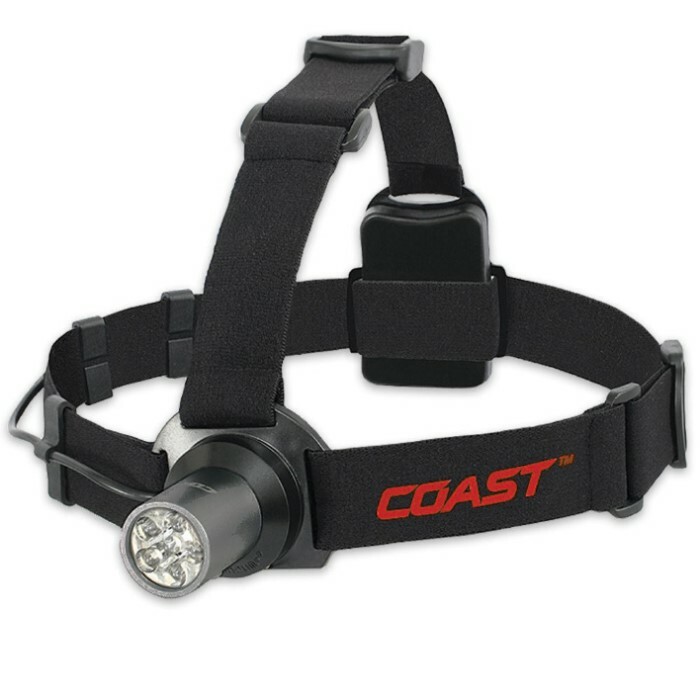 This head lamp is great, it's much brighter than any other flashlight I have! Also, along with the other products i ordered, it arrived right on time. It went right into my zombie kit! !